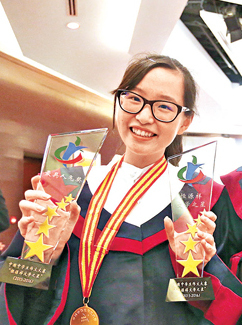 Held by Sai Kung Cultural Centre Community Development Foundation and sponsored by Sai Kung District Board, the 15th Sai Kung Outstanding Students Award was completed in July 2016. The award aimed to show appreciation to students with outstanding academic, extra-curricular and community service achievements. We are proud to announce that our students 6C Fung Hoi Yan Janice and 4C Tsoi Sze Ying won the Award, while 5C Ho Man Hei and 2C Li Wing Tung Winnie obtained the merit prizes. 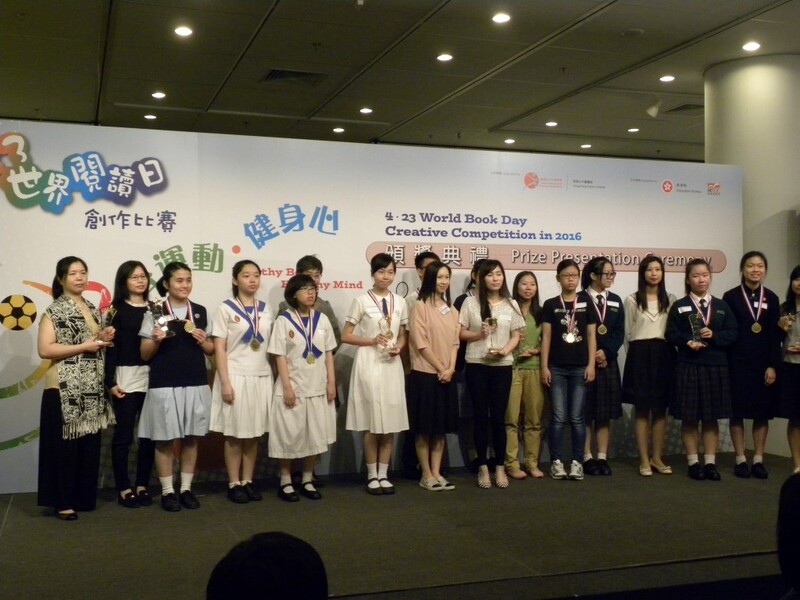 2016 "4.23 World Book Day Creative Competition" — "Healthy Body, Healthy Mind"
Six Secondary 2, 3 and 5 students participated in the "4.23 World Book Day Creative Competition” in January 2016. 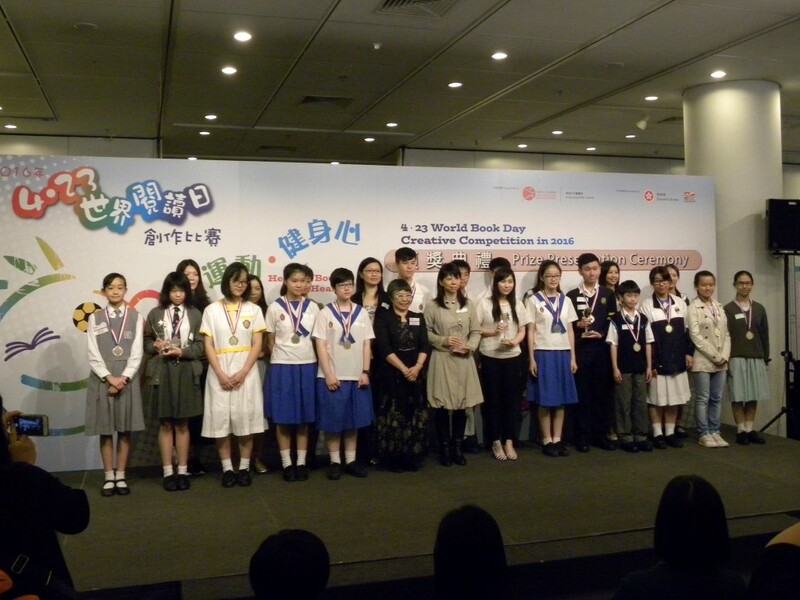 It is a competition organized by Hong Kong Public Libraries. The objective of the competition is to stimulate children and youth on the reading interest of sport, through extensive reading to cultivate the ability to think in different perspectives on sport and how it helps build up healthy body and health mind, so as to have a positive and enthusiastic lives. 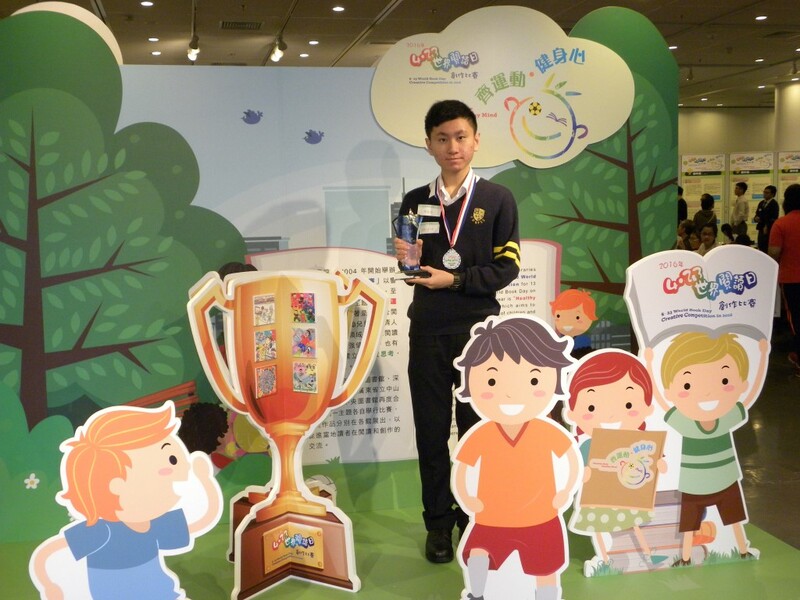 The works of two of our students, 2C Chan Kwun Chi and 5C Fung Hoi Yan Janice, were chosen as the winning entries. Congratulations to our student for an exceptional performance in the Eleventh Chinese Writing Competition for High School Students in China (第十一屆中國中學生作文大賽). 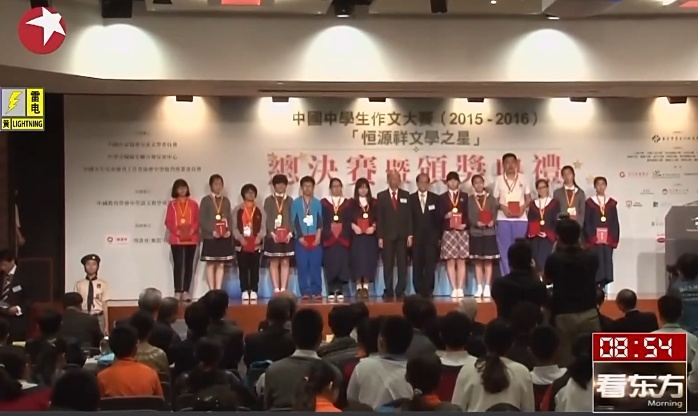 The final competition and Prize-giving Ceremony of the competition was held in mid-April 2016. 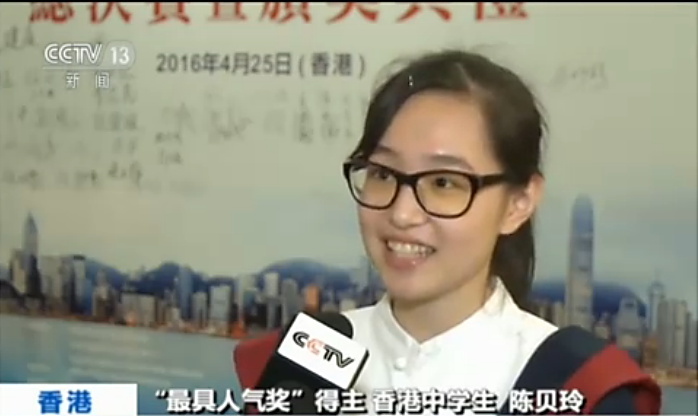 It is a National Competition organized by The Hong Kong Institute for Promotion of Chinese Culture (香港中華文化促進中心). 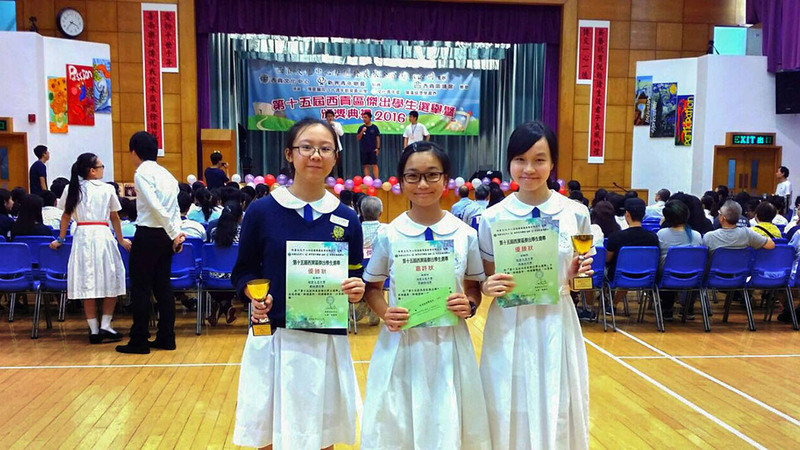 Our student 3B Chen Pui Ling got the Top 10 Literary Star Award (恒源祥文學之星) and the Best Popularity Award with her outstanding performance.